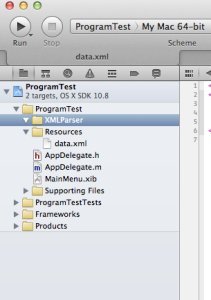 Is there any strange thing about directory when using Xcode? 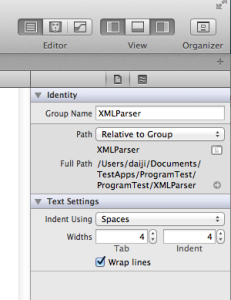 By default, Xcode doesn’t create directory when creating Group. XMLParser seems to be directory. But this is group, not directory. 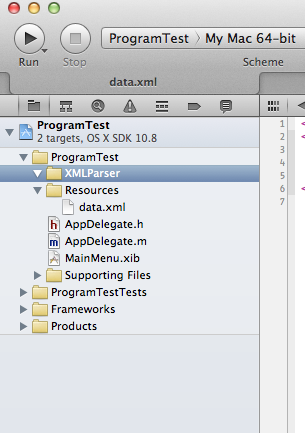 This is for only Xcode. Please look at under “Path”. 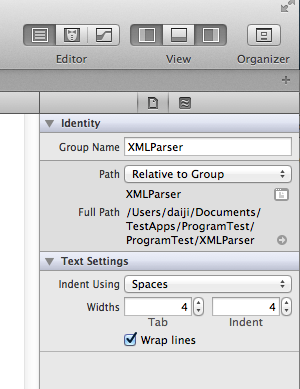 You can see XMLParser. This is directory name. At right, you can see an icon. To click icon. You can see Finder. Click create directory button at left bottom and input directory name. After that, you can create directory under Project directory.